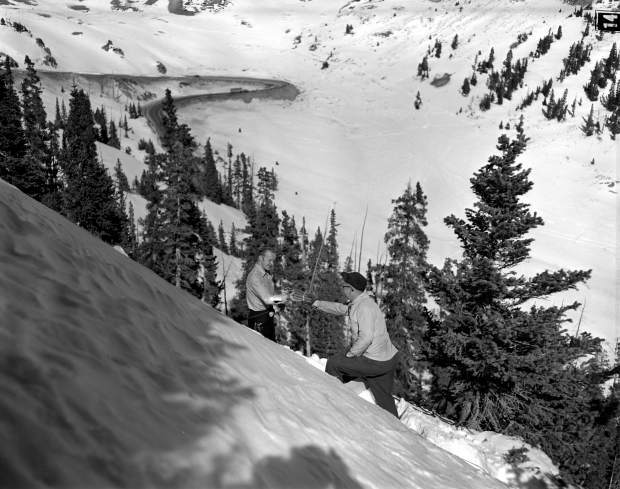 Avalanche mitigation crew members assess the stability of the snowpack on Loveland Pass with a peneprometer in January 1953. 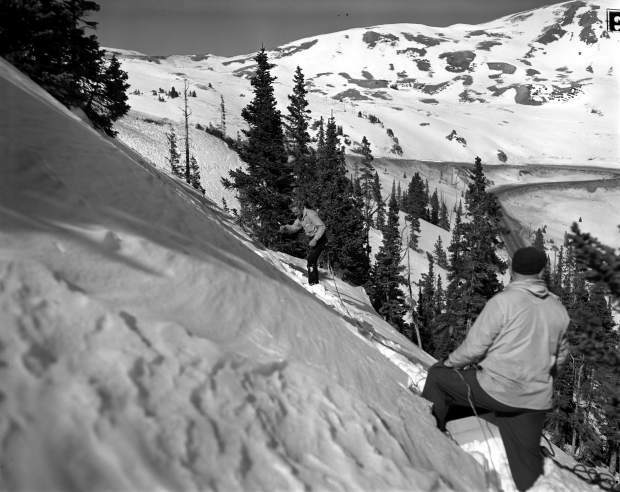 Ted Bakken receives a charge from Harold McMillian on the west side of Loveland Pass in the Little Professor slide area in 1954. 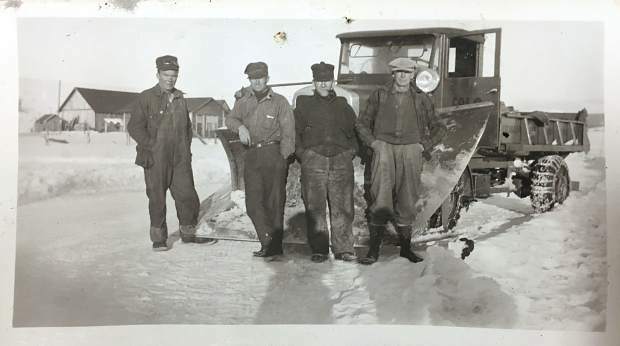 A highway department crew poses for a photo at the Old State Highway 2 between Granby and Kremmling in 1932. 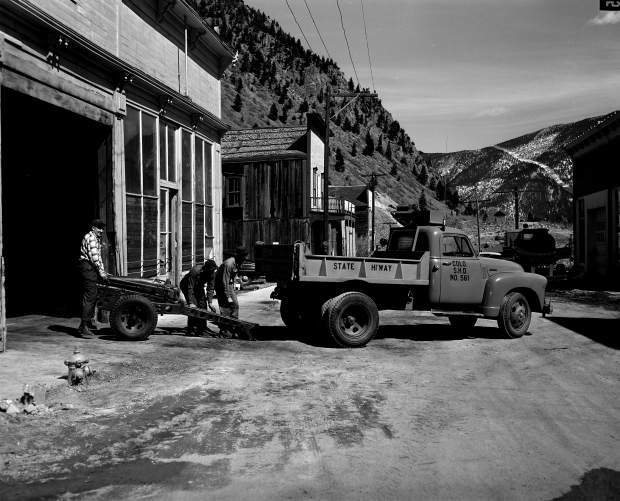 A 75-millimeter Howitzer used for avalanche mitigation and snow removal is seen in Silver Plume in March 1953. 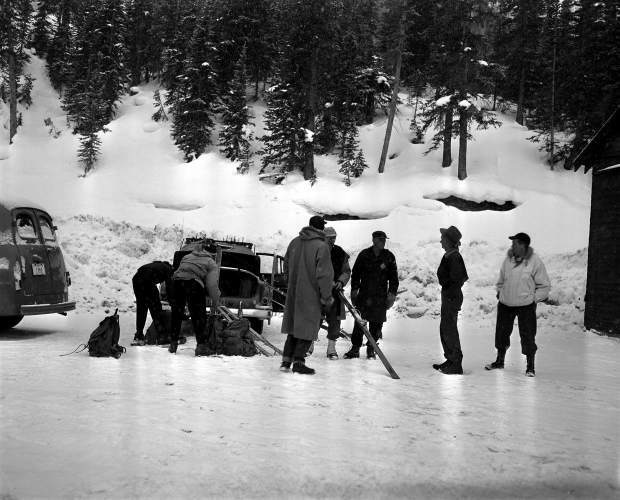 Avalanche mitigation crew members prepare to leave dynamite at the Seven Sisters area of Loveland Pass in January 1953. 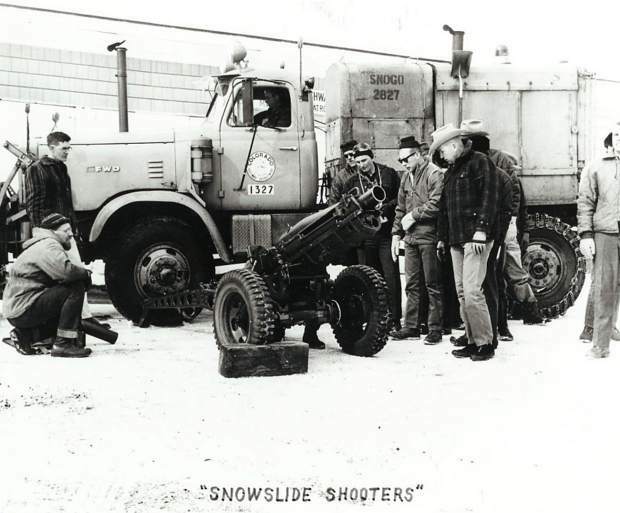 Members of the state highway department set up a 75-millimeter Howitzer for avalanche mitigation work in SilverPlume in March 1953. This Colorado Department of Transportation photo showcases avalanche mitigation crew members assessing their artillery. 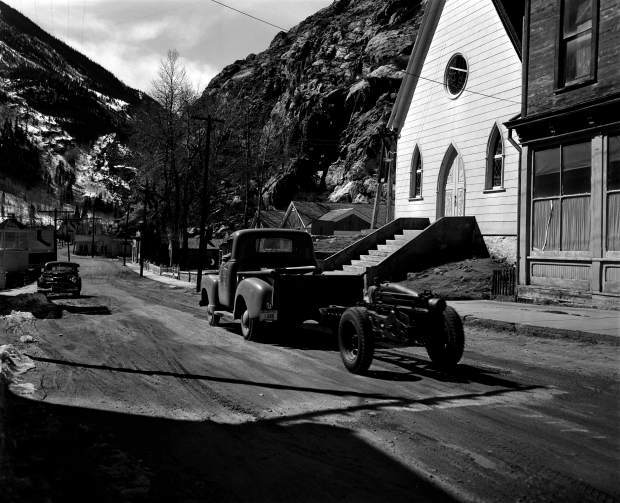 With the advent of the automobile, auto-touring in the scenic Rockies becomes popular among Coloradans. With this rise in travel on Colorado’s roads comes the need for an agency dedicated to maintaining and constructing these roads, hence the formation of the Colorado Highway Commission in 1910. 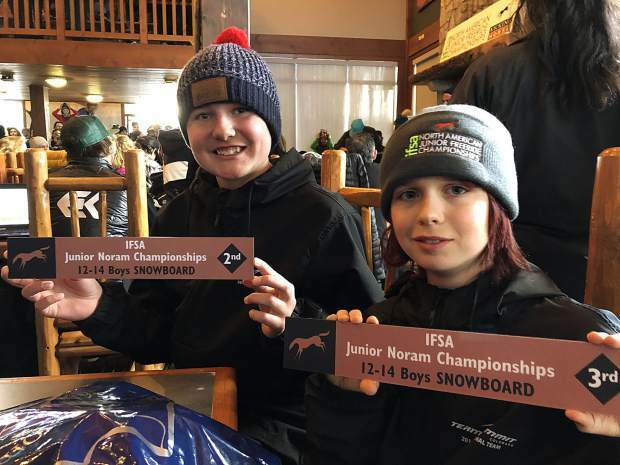 Berthoud Pass opens a month and a half earlier than previous years. 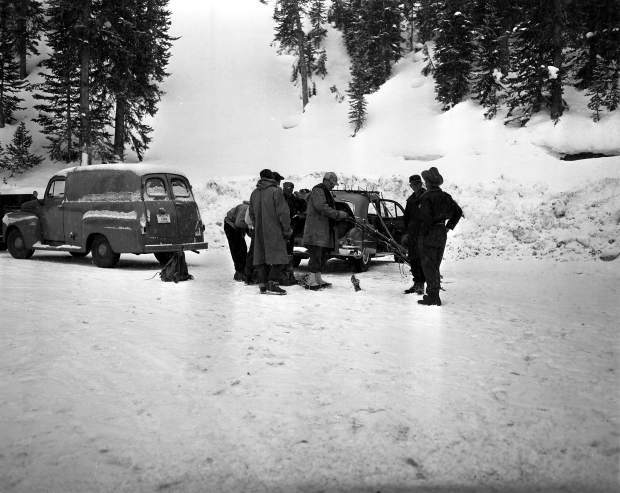 This was thanks to rotary snowplows crews built themselves and eight tons of dynamite used to break through ice. 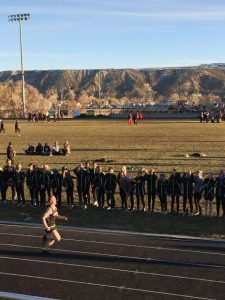 “At the time the department called the achievement, ‘the most stupendous undertaking ever attempted by road officials in the western country,’” Cooper said. 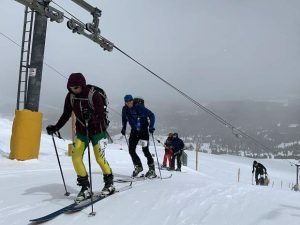 Avalanche danger comes to a head when highway department employee Adam Frasier is killed in an avalanche in the Seven Sisters area near Loveland Pass. After the Frasier fatality, among others, the highway department launches “Operation Breakup,” which studies major slide areas across the state. 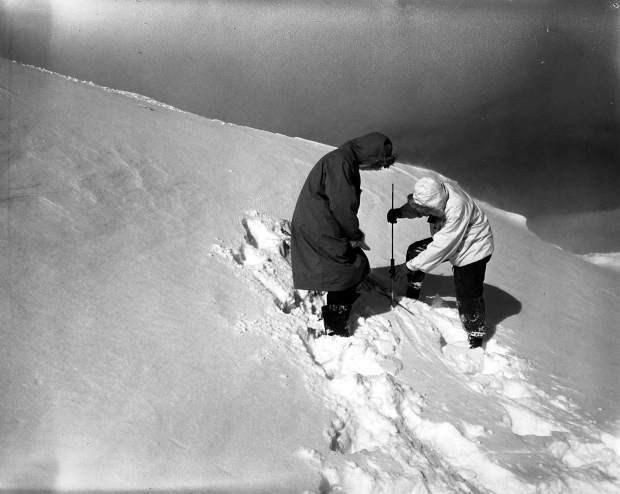 Its purpose is to gather data on snow depth, humidity and wind velocity, among other things. The U.S. Army issues the highway department two 75-millimeter Howitzers for avalanche control. Mumford says these very effective weapons were used for 30 years. A snow shed is constructed at Wolf Creek Pass after three truck drivers were killed in an avalanche. 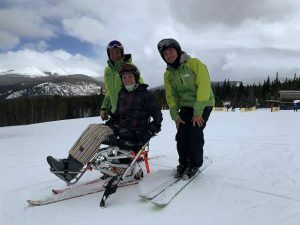 Highway department employee Terry Kishbaugh is killed in a Red Mountain Pass avalanche, one of several through the years near Red Mountain Pass. Officials say it was due to a hazard on the job, but the towns of Ouray and Silverton insist an avalanche shed be built. It was constructed the following year. When the ammunition for the 75-millimeter Howitzer runs out, the military takes back the guns and issues two 105-millimeter recoilless rifles. These new guns have a range of about 4 miles. With no recoil, the guns can be fired from the bed of a pickup truck, making them ideal for mobile operations. CDOT acquires two McCracken avalanche launchers to conduct longer-range mitigation work. In 1993, CDOT purchases six more. CDOT worker Eddie Emill is killed in an avalanche on Red Mountain Pass. As a result of the tragedy, the CDOT Transportation Commission mandates a complete avalanche management plan be put together. This includes partnering with the Colorado Avalanche Information Center to allow avalanche forecasters to work with CDOT to monitor the avalanche hazard along state highways. An avalauncher round detonates in the chamber of an avalauncher, critically injuring two of CDOT’s avalanche control team members on-site within the Seven Sisters area of Loveland Pass. The accident leads to changes within CDOT’s avalanche control program. Those changes include an increased use of case charges, rather than firing live rounds, and more helicopter mitigation. In recent years, CDOT has debuted its Gazex and O’bellx systems, which mix gases in tubes in order to trigger blasts remotely. CDOT has also looked more critically into passive avalanche control methods, such as the use of snow fences and revegetation of avalanche paths. Mumford said CDOT is also using more and more thermal imaging as part of its mitigation work. 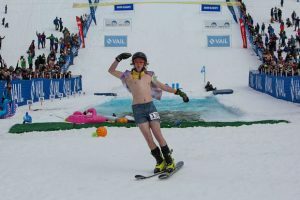 Mumford said CDOT is exploring the idea of using a Catex, or tram, system to deliver explosives to pre-designated spots on slopes. He said this is the most effective form of avalanche control, as the system can fire at 20 spots at one time. Mumford said CDOT will install an Avalanche Guard next summer on the west side of Loveland Pass. The technology houses explosive charges inside a box that are remotely lobbed into an avalanche start zone. Mumford also said CDOT will install a Wyseen avalanche tower next summer on Lizard Head Pass. The technology remotely lowers charges from the tower to the snow surface before detonating.